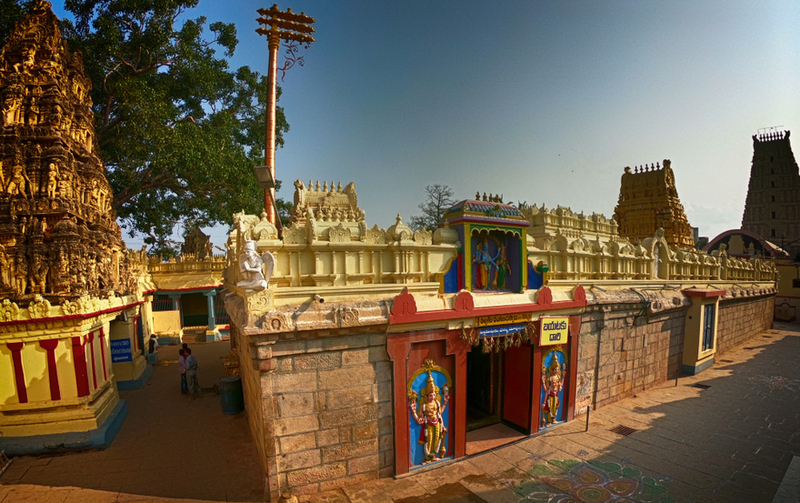 Talpagiri Ranganathaswami temple is one of the oldest temples in Nellore, Andhra pradesh dedicated to Lord Vishnu. It is located on the banks of the Penna River and is believed to have been constructed in the 12th century. 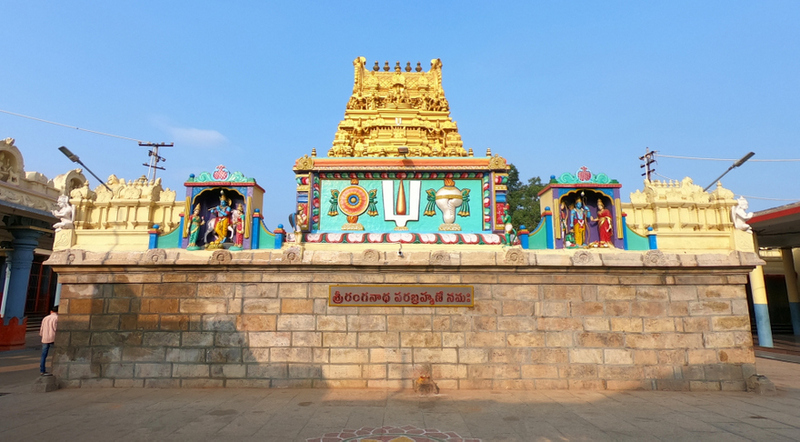 According the Skanda purana, the word ‘Talpagiri’ comes from the legend, which says that Adisesha took the form of a hill here, Lord Maha Vishnu wanted to visit Bhooloka along with His Consort, Goddess Sridevi, so He asked Adisesha to be the place of His residence while he stays at Bhooloka. Obeying His Master’s order, Adisesha took the form of a mountain in this place. 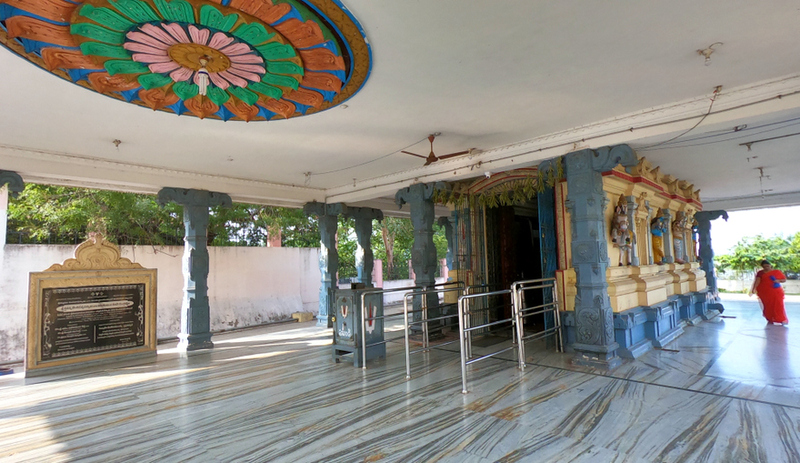 ‘Talpa’ refers to couch of the Serpent Adisesha on which Lord Vishnu reclines. 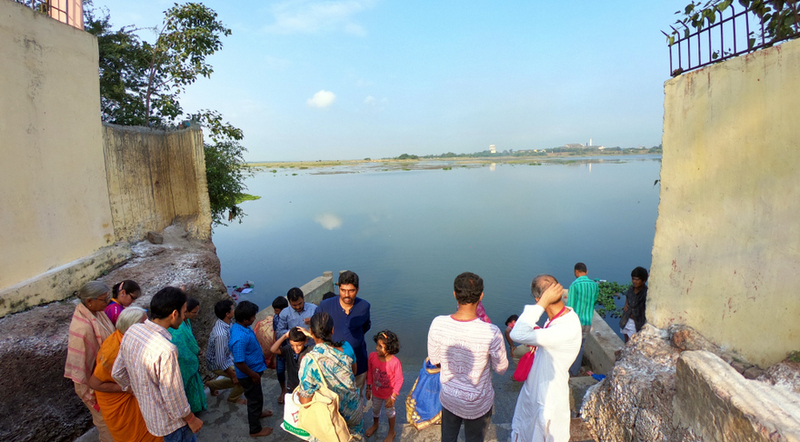 Thus the place got name ‘Talpagiri Kshetram’. The deity of The Lord Ranganatha inside the Sanctum Sanctorium, reclining on his conch of Adisesha is ten feet long with Goddess Sridevi sitting on his chest and Lord Brahma sitting on a lotus rising from the Lord’s navel. At the Lord’s feet are 26-inch high deities of Sridevi and Bhudevi. In front of the main deity are the Utsava murthis (festival deities). There is also a four-handed seated deity of Goddess Sridevi called Ranganayaka Devi. 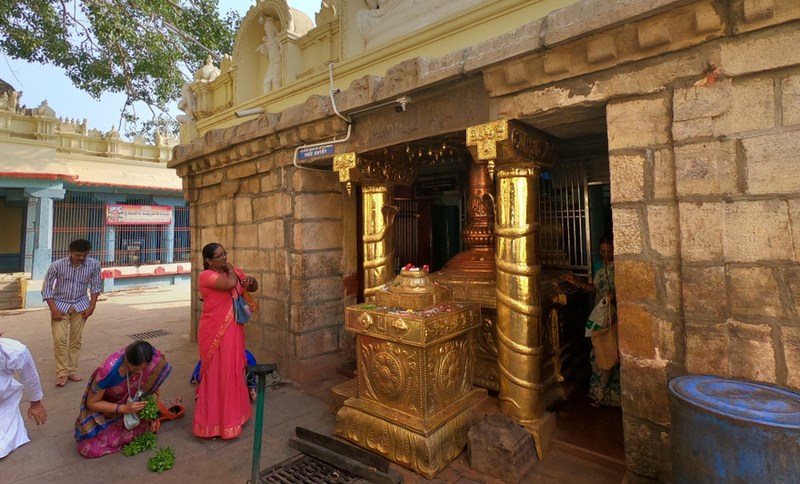 One of the interesting things about the temple is that the idols faces west towards the river Penna (Pinakini), unlike most temples where the deity faces towards the East. It is believed that when Sage Kashyapa performed Poundarika Yagna on the day of Ekadasi, Lord appeared and blessed him. 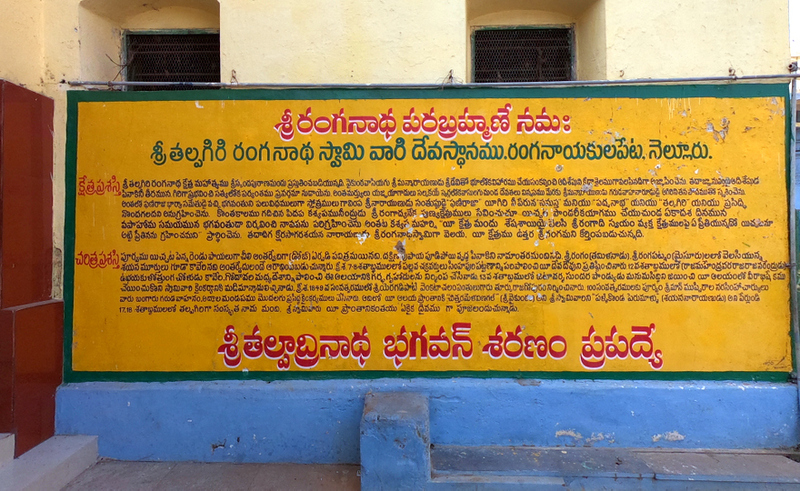 The second among the ‘Kavi Trayam’ (Trinity of Poets), Tikkana Somayaji translated the final 15 chapters of the epic Mahabharath into Telugu in this Temple. 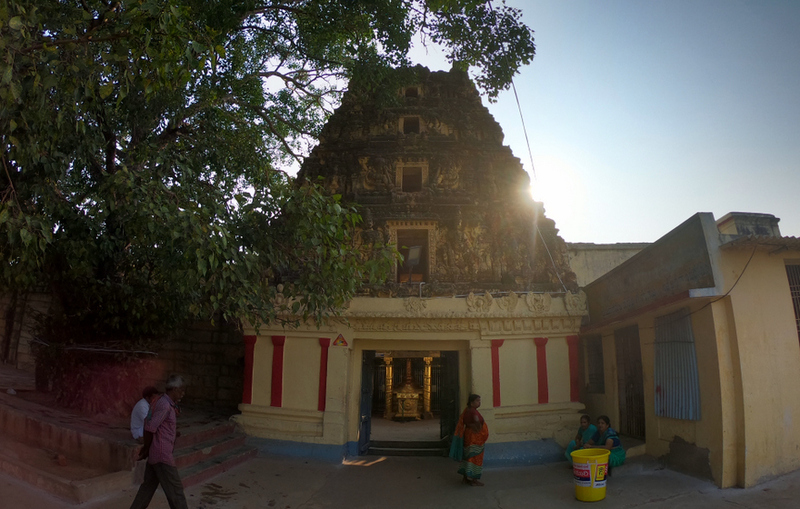 This temple was built by Pallava rulers during 7th and 8th Centuries A.D. 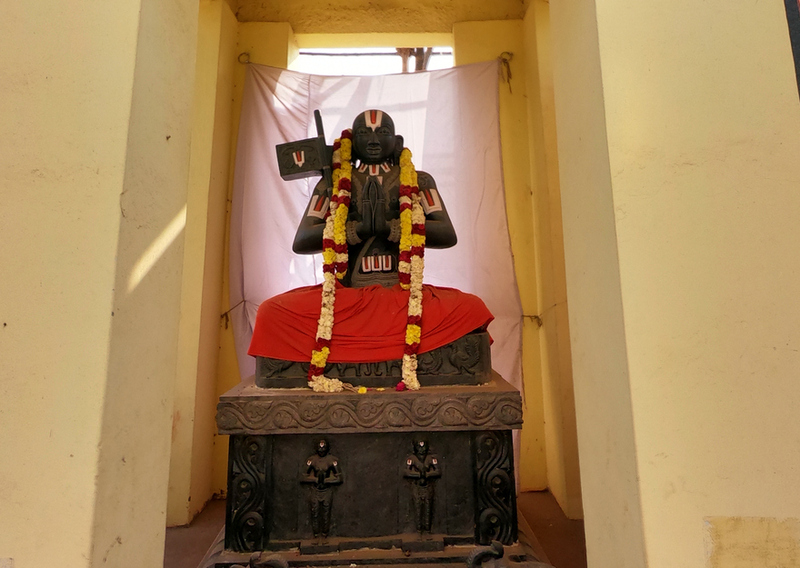 The rulers of Simhapuri contributed their part as well in building the temple. This temple was later developed by the King Raja Mahendra Varma in 12th Century A.D. ‘Sri Vishnu Sahasra Namavali’ (1000 different names of Lord Vishnu) are penned on the walls of Sanctum Sanctorium. 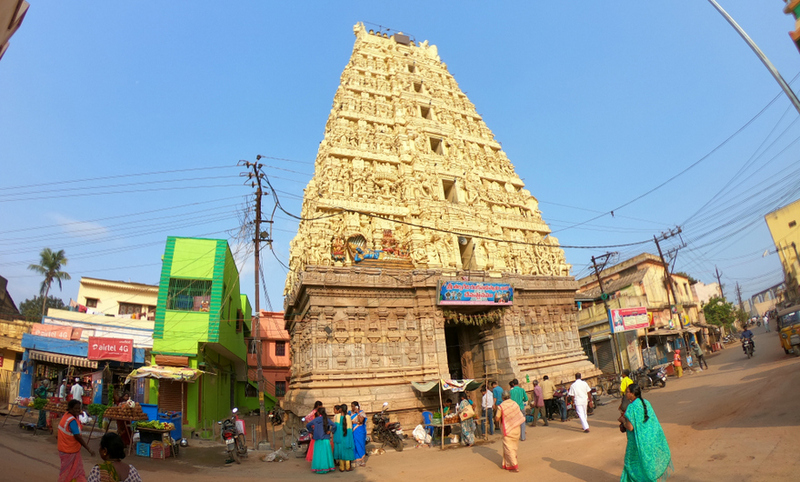 The main entrance gopuram is of seven storied structure with excellent carvings. 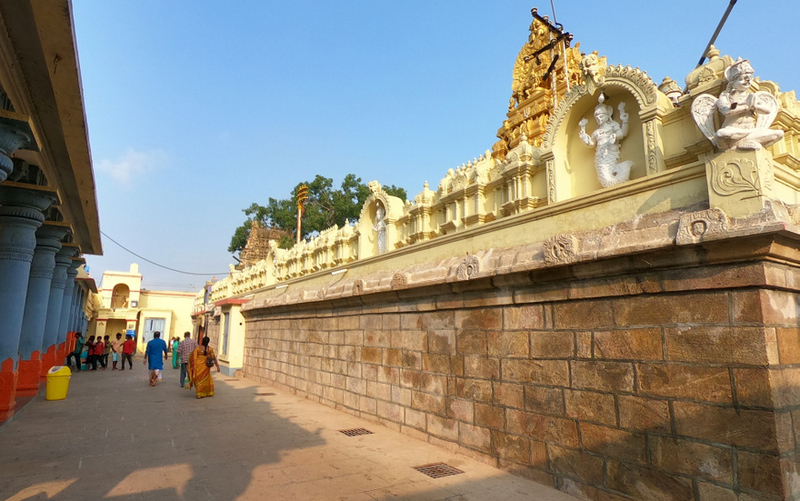 Gali Gopuram at the main entrance is of 70 feet high and has seven 10 feet of gold plated Kalisams. Every year during the month of March–April (which varies according to the Indian calendar) a grand festival is celebrated. Out side the main temple, we can find statue of Ramanujacharya which stands very high.